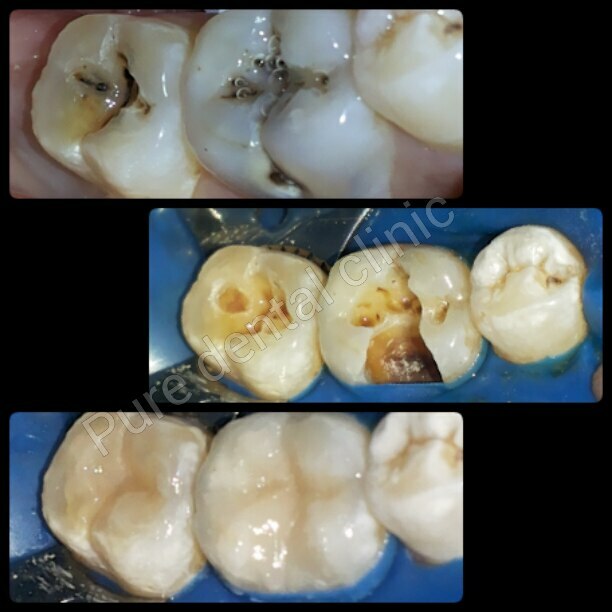 Home > Services > Once there is cavity inn tooth , it has to be cleaned and filled with filling material. Composite is tooth colored material to fill the cavity after cleaning. it exactly matches the color of the tooth so that it doesnt look artificial. Most of the time its is painless if cavity is not deep and doesnt require anesthesia.however in some cases anesthesia is needed. Patient can eat normally immediately after treatment.